Combine flour, sugar, salt egg and pecans. 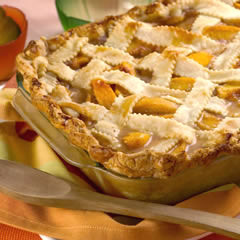 Place peaches in a 9 inch Pie pan. Top peaches with pecan mixture. Drizzle melted butter over top. Bake at 375o F for 35 minutes.